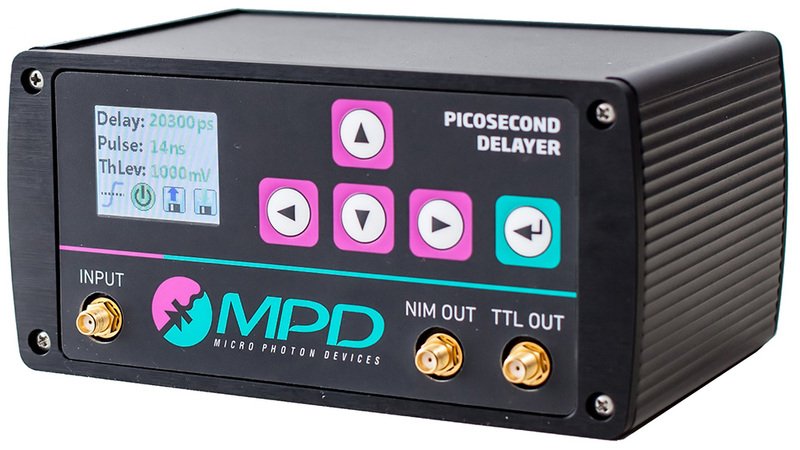 The MPD Picosecond Delayer is a module capable to generate output pulses (both NIM and TTL) with user-selectable delay and output pulse duration, in respect to the rising or falling edge of an input signal. 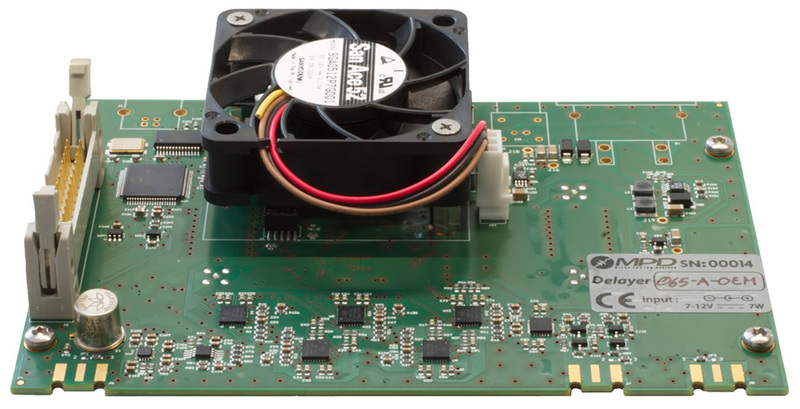 This new instrumentation, completely based on solid-state components, sets a new milestone with best in class precision, stability and time-jitter over a wide range of temperatures, not even matched by normal coaxial cables. The delayer features a 50 ns nominal full scale range with a 10 ps step delay resolution, whilst the pulse duration is also user controllable from 1 ns to 250 ns with a nominal step of 3.3 ns. The excellent integral non linearity error is comprised between +50 ps and -100 ps over the full scale range and for all operating temperatures. This exceptional performance makes the picosecond delayer the perfect choice for any experimental set-up where signals must be delayed with high accuracy and stability of characteristics over a broad range of delays and temperatures. 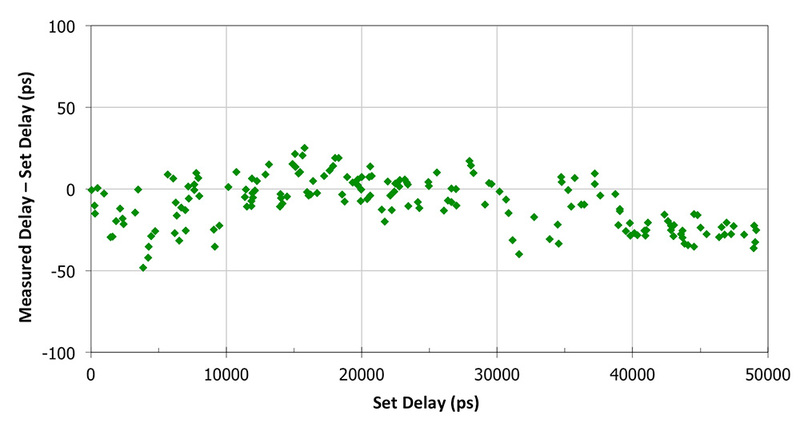 The low random jitter makes it also succesfully suitable in any Time Correlated Single Photon Counting application. 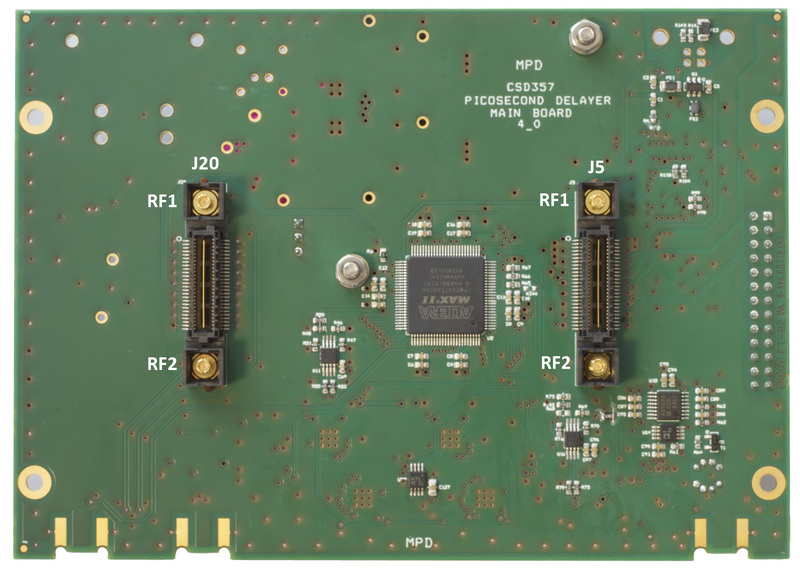 The picosecond delayer is available either as standalone module or as OEM electronic board. In this latter case the delayer is either controlled by a very simple software interface or, since the commands are ASCII strings sent over a virtual COM, by any user program able to communicate with a RS-232.